Topic: What happened to this coin? Google "this is just one study"
pseudoidiot wrote: I only see one face. Are you calling me plane-looking? I've gotten really into dancing this year. Dancing slowly kills your old social life and replaces it with another social life where everyone is really into dancing. I think this is what joining the brain slug party is like. It's been very long since I posted here last. Been busy with life and all that. Also I can't quite seem to keep more than two social media going in my life at once. It feels like like carrying too many oranges. I secretly hope that book is about hepatology. My hobby: Expressing inverse square laws in terms of the area of an implicit geometric shape between the two points. 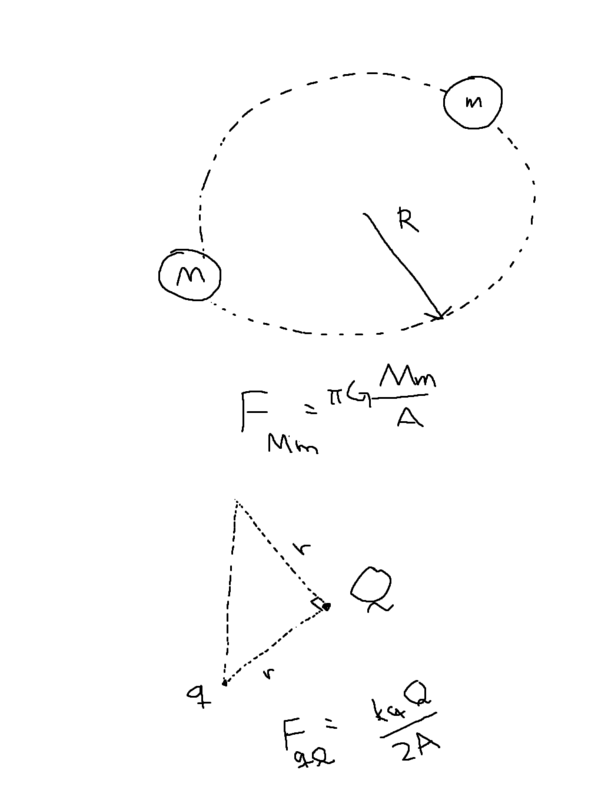 Circles are especially annoying to use when the force is attractive and the two points are in an orbit. I refer you to my signature. I'm not you understand the gravity of this situation. You know when you meet someone, and you just instantly connect and it's like you've known them forever, and it turns out you have similar interests and personality? Well, that's apparently a thing that can happen. It's hard not to get a bit smitten. phlip wrote: Seen floating around Twitter: Compiling C to x86 using only printable ASCII. Learn how to program a computer when you aren't allowed to use MOV. Or backward jumps. Found a wall in my travels. Was reminded that walls make things great. Keeps Mongolians out of China. The Germans were Nazis before their wall. When they tore it down, Soviet fell. It's also a good Pink Floyd album. I can only snap my fingers on my right hand, not my left. This bothers me a lot. What happens if you enter 10/12 ? Now you're just making words up. Dark Souls 3, X-COM 2, and Factorio are probably my real highlights. Played and loved the hell out of all three. Overwatch was fun in that annoying sort of blizzardy way where you kinda rage a bit too much and eventually shrivel into an embittered husk of mostly salt. Hedgehogs are a prickly lot. There's something about referring to women as "females" that makes me picture the author as Ferengi. Yeah, at virtually every point in time, I've considered myself of 5+ years into the past to be roomba-trapped-under-a-chair retarded. poxic wrote: Nope. Feeling old is like feeling young, but it hurts more. I turned 30 this week. Holy crap, I'm old now. I somehow thought it would feel differently.